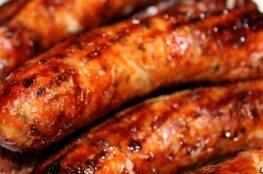 The sticky honey marinade on these chipolatas is ideal for a barbecue. The perfect party dish, you can double/triple the quantities to feed a crowd. 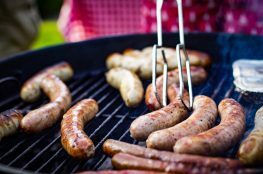 No BBQ is complete without sausages in our humble opinion and these have always gone down a treat. Alternatively, if you fancy mustard and honey sausages, cook the chipolatas in the foil tray on their own for 10 minutes. Then mix 3 tbsp clear honey and 1 tbsp coarse-grain mustard and stir. Cook for another 5-10 minutes.